Hi everyone! 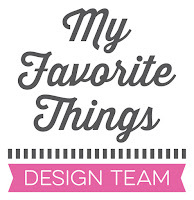 I’m so HAPPY to be (again) a special guest designer for Your Next Stamp this month. I would like to give a special thanks to Karen and Thanh! Today is the preview day of the *NEW* January release (which is AWESOME)! You will LOVE the new stamps. Click over to the YNS blog for the full list of blogs sharing sneak peeks of the new collection. This month, I’ll share 3 cards with the *NEW* stamp set called Perfect Chemistry. Let me show you the first one for this peek day. I LOVE this mad professor and his BIG nose! *haha* I only used his face for this card and colored him with Copic markers. 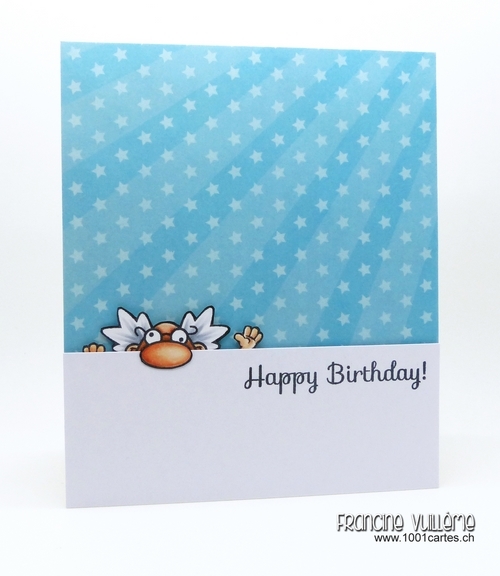 The little hands and the "happy birthday" sentiment are from the Silly Monsters stamp set. Haha! So eine witzige Idee mit dem Professor! Wirklich clever! Very cute and clever to have him peeking over the edge! I LOVE it!!! This card just makes me smile! And what a great idea to use hands from a different set. I never would have guessed. Adorable card!! Such a sweet image and wonderful design! Love it! What a positively adorable card! LOL...love this card. That little guy peeking out is just too cute!! Now that I have seen the image in its entirety I see just how amazing this card truly is Francine. Brilliant. how cute is this card! so so so very cute! This is too cute! I think he's a Moose? I live in Moose Jaw! TFS! Another cute one! This makes me smile!So glad that you join the fun over Virginia’s View “Clean Slate” Challenge! It is impossible not to smile, when seeing this fun card! Awesome and clever!! So fun!